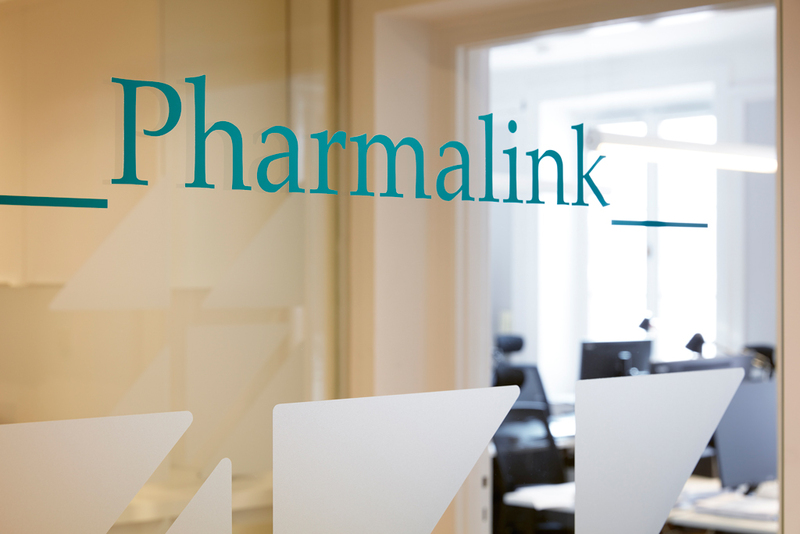 The pharmaceutical company Pharmalink now has its headquarters in Wallingatan 26 in Stockholm and we had the privilege of designing their new premises there. The building, located next door to the prestigious Pharmaceutical Society, is from the 1920s. The challenge laid in creating efficient office space with a strong and modern identity, while taking into account the old premises authority and elegance. 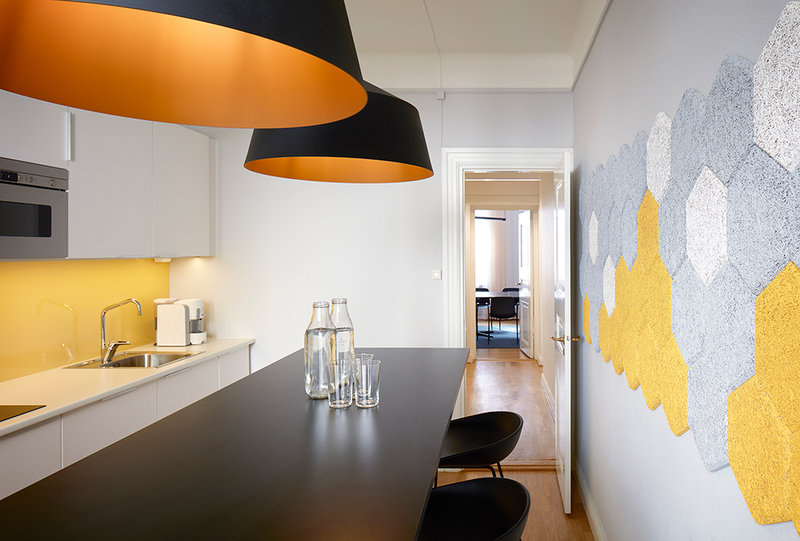 Pharmalink desired that the interior would clearly reflect their clinical focus and follow their graphic profile. 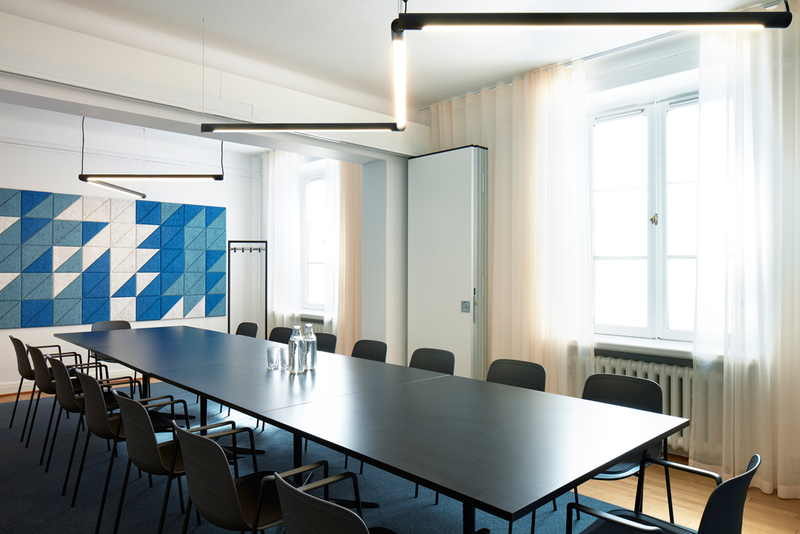 We therefore directed color choice towards cool and mainly blue shades with accents in the public parts, but added a warm yellow tone in the staff areas as to create more warmth and intimacy.